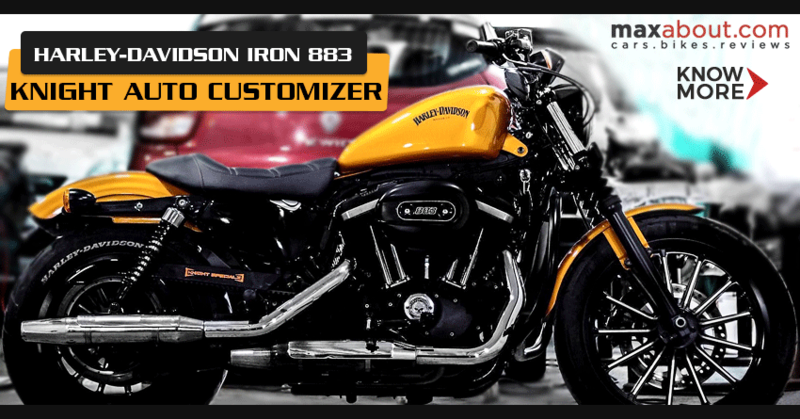 Knight Auto Customizer recently worked on a Harley Davidson Iron 883 and brought a beautiful Golden motorcycle out of the dark themed muscle cruiser. 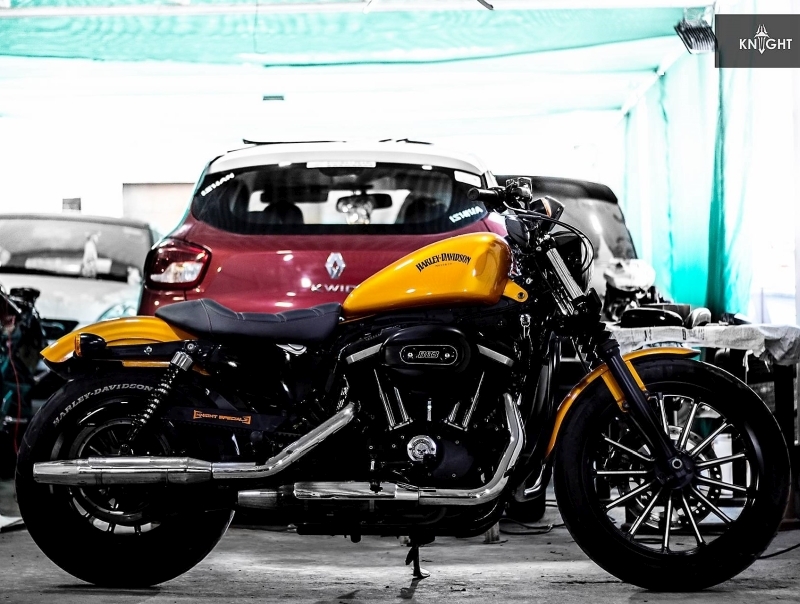 The first bit that one would notice on the Iron 883 is the use of Chrome dual exhaust units that were once finished in Matt Black on the stock motorcycle. When looking at the wheels, only a keen eye could notice the change in alloy wheels. The spokes of the alloy wheels have gone up from nine to thirteen and all of them are finished in more chrome than ever. 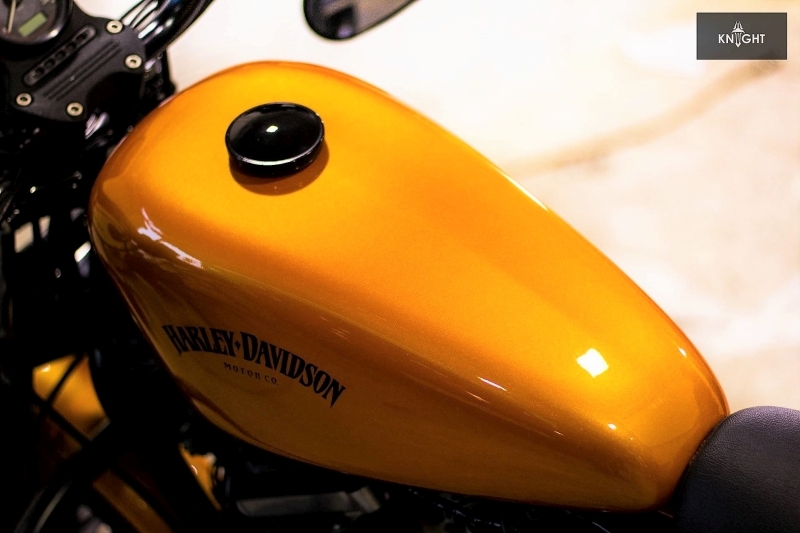 The front now features bar end mirrors in place of the higher placed handlebar mounted stock unit. The reflectors from the suspension are removed while the under-seat panel is finished in Gloss Black. 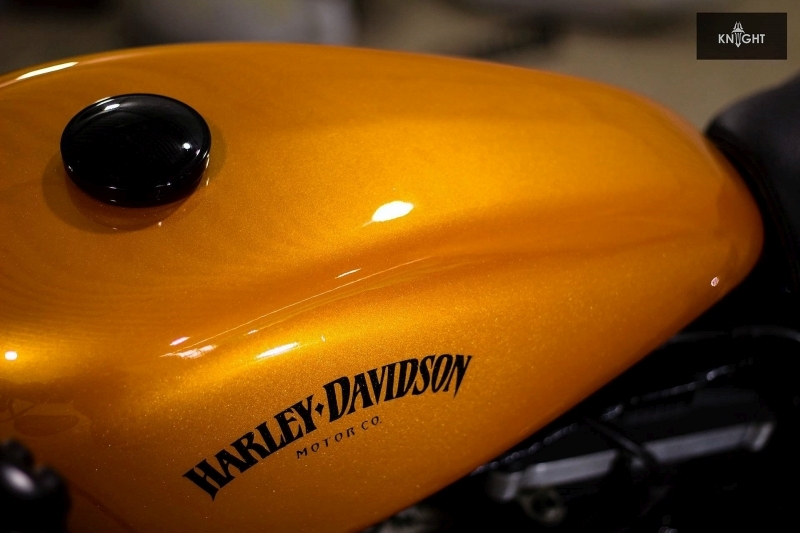 The engine now labels the 883 moniker while body paint is completely shifted to bright Metallic Orange shade. Harley Davidson logo has been redesigned and it lacks the eagle that can be found on the stock version. 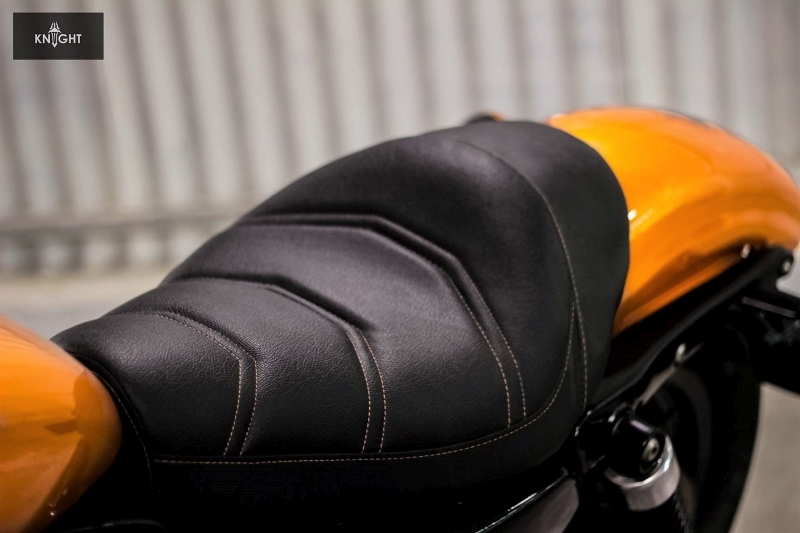 Apart from these changes, Knight Auto Customizer has worked on the seat and redesigned the pattern with contrast stitching to the Orange paint scheme. 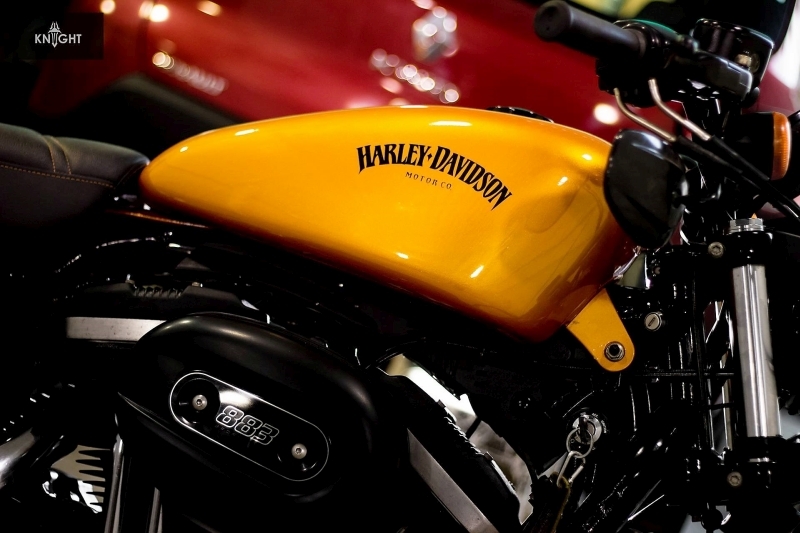 Harley-Davidson Iron 883 is powered by a V-twin, Evolution 883 cc engine producing 70 Nm at 3500 rpm. It carries a 12.5 liter fuel tank that makes it good for city use only. The front wheel on the stock version measures 100/90-19 while rear is 150/80-16. This leads to an impressive stance for the rider. It weighs 247 kg and brings 140 mm of decent ground clearance. 883’s seat height of 760 mm makes it the best option for riders with average height. 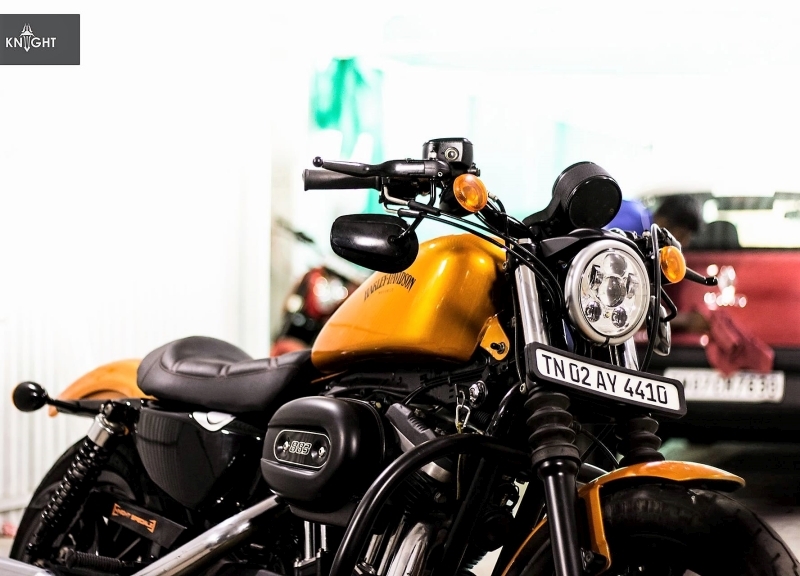 The stock version costs INR 9.23 lakh (ex-showroom Delhi).